How to build a website in 30 seconds! - The Christian Internet Marketer How to build a website in 30 seconds! I would just like to show you how you can build a WordPress website in just 30 seconds! I had my first website for my off-line business back in 2004 which cost me £1000 and I had my first moneymaking website in 2007 cost me £2000, both the sites were built by the same web designer. My first moneymaking website actually cost me a lot more than the original price as the plan was to build a Google AdSense website and then add functionality as time went on, which in turn would increase the revenue from this website. So I’m going to show you now how quickly it is to put up a WordPress website. I use a platform called thesuperwealthyaffiliate.com this is an Internet training platform that teaches you how to start an online business from start to finish in a very genuine way, it takes you through the process step-by-step, personally I don’t know of a better way to learn how to start making money online. You will see my profile under https://my.wealthyaffiliate.com/roybretton I have clicked on the left-hand side of my profile under websites and gone to the section, site builder. The first thing you need to do is to put your domain name in the area that says choose a domain name, domain names can be purchased from my website here: https://webservice.roybrettononline.com/ which also gives you a 24-hour helpline free of charge if you should have any questions about your domain name. Then you need to enter a title to your website, this can be changed at any time. And thirdly, we choose a WordPress theme, there are nearly 4000 different themes to choose from, sometimes I think there are too many themes to choose from, I always like to go for a clean straightforward theme with very clear functionality. I actually like to try and stick to the same WordPress theme if possible as the functionality stays the same and I don’t have to keep learning about the functionality of new themes. We also have to remember that a WordPress theme can be changed at any time, although it’s important to back up our WordPress website before we make any changes. Finally, click on build website now and our website will be created, on average it takes about 30 seconds for this to happen, depending on what’s going on with your Internet or a particular system. It amazes me how quickly times change, when I first started online I had no idea that I would be building my own websites, this was something that I almost couldn’t dream about! The Wealthy Affiliate Platform makes it extremely straightforward to build a website in a matter of a few seconds! You can actually start to put up WordPress websites for other people in a matter of minutes! I’m not really a techie, however, I do like technology and I embrace technology, but I certainly wouldn’t say I’m an expert. The Wealthy Affiliate Platform has enabled me to do so many things that I would not have been able to do had I not found this great platform. Now you know how to build a website in 30 seconds! As you can see, now you know how to build a website in 30 seconds your website is now live on the web, you are now free to create your first blog post! My challenge to you is, are you going to build a website in 30 seconds? Please feel free to comment below if you have any questions or thoughts, I’ll be here to answer any questions. I think we all who are interested in online business want to know what is the best way to do it. The Wealthy Affiliate Platform is obviously one of the best, as you described, you can build website in very short time and then start online learning and making business, excellent! I appreciate you taking the time to comment on my website, we are fortunate to be connected with a platform like Wealthy Affiliate. I have been working online for 12 years and this is the best Internet marketing training platform that I have come across. Building a website in 30 seconds? That’s awesome. Aside making one for yourself, it is also a good way of earning income as you build for others making their businesses have an online presence. 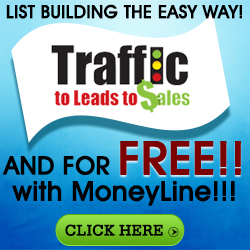 Imagine building 10 websites per day. With Wealthy Affiliate you have all the necessary trainings at your disposal. Yeah ,doors of financial success has opened . Thank you for taking the time to comment on my website, I do appreciate it. Wealthy Affiliate is a great platform to learn about making money online. Wishing you every success and thank you again for commenting. Isn’t it amazing how times change things. I remember those $1000 days and HTML coding. It was so expensive, so challenging and so time consuming! And now all you need is 30 seconds! As a fellow member of Wealthy Affiliate with you, I can stand beside you and recommend Wealthy Affiliate to your readers. Not only can you build a website in 30 seconds, but the training and support you get with them is amazing. I don’t think I have ever been part of such an amazing community before where you can get training, get support and also get paid! It’s really a super platform. Thank you Tim for taking the time to comment, I do appreciate it. I’m glad you have also experienced Wealthy Affiliate, it really is a great platform to learn about Internet marketing and making money online. Not only does it teach you how to make money online, it is also great that we can work amongst like-minded people and share ideas and help with website issues etc. I hear you big time Tim, Wealthy Affiliate is definitely the best Internet marketing platform that I have came across to learn how to be successful online. If you are reading this and you are new to Internet marketing process, why not create a free account here and join the many other successful people on this great platform. Thank you for this review on how to build a website in 30 seconds! May I just know if it is okay to make a website in just 30 seconds without the help of this platform wealthy affiliate? Is it really possible? I’m just curious. Love to hear your feedback. By the way your review is great! Thank you for taking the time to add a comment to my website, I do appreciate it. In answer to your question this is the quickest way that I have found to install a WordPress website, I actually think if you were actually someone installing WordPress websites every day, this way would still be quicker! Thank you for your feedback and all the best for 2019. This looks like a great option for someone just getting started out. A couple of years ago, at the suggestion of friends, I tried building a website via Squarespace. It puts out some pretty stuff, but the functions were somewhat limited. And support was there, but not at a really deep level. I saw on your Quick Walkthrough page that Wealthy Affiliate had training and webinars. I also saw that the banner listed instant support and help, so that would be a huge plus. Looks like a winner! Thank you for taking the time to comment, I do appreciate it. It’s interesting that you tried Squarespace, this is something that I am not familiar with, although I do know that there are many different platforms offering great success! I have to say that my experience with Wealthy Affiliate has been first class and their methods of teaching are excellent. It’s definitely a very quick way of putting a website up. Hello Roy! Good introduction to getting started to build a website. Congratulations! Would you consider adding another paragraph about hosting? Or, you might want to make a new post about making te website live on the Internet. With hosting, the user will then have the opportunity to increase visibility of his/her website, which would be particularly useful when promoting a product or service. There are so many options, and with Wealthy Affiliate, a user can have a full compliment of website building and hosting services. Good read! Thanks. Continuing success to you in all endeavors! Thank you for taking the time to comment, I will look into writing an extra paragraph on hosting. I certainly agree there are many options with Wealthy Affiliate and so many great people to network with. Wishing you all the best and a very happy New Year. The same WordPress theme is a great idea. And out of 4000 there is literally so many it is difficult to choose one for every website. And I will agree with Roy and Tim, Wealthy Affiliate is a good place to be, plenty of support, training and help. The creation of a website in 30 seconds is correct, just follow Roy’s steps. Thank you for taking the time to reply to my blog post Derek, I really do appreciate it. 4000 themes WordPress themes is a terrific amount of themes to search through, sometimes this job to know where to start, so when I find a theme that I like I try and stick with it! The other day I had to contact support for a technical question regarding hosting and they came back to me within five minutes, this was actually on a Sunday, so in other words we do receive excellent support and help. It’s amazing how much simpler WordPress has became, I believe WordPress came out in 2003, it was pretty awful to use to start with but is definitely progressed over the years.